“Timothy definitely is our go to man! This is the 3rd sale he’s handled for us. He sold Larry’s mother’s home and our neighbours house as well. 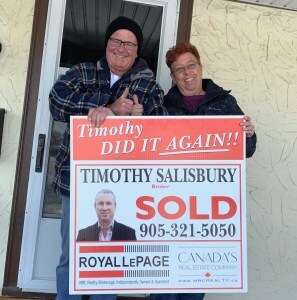 “It is with great pleasure I write this letter of recommendation for Tim Salisbury and his team at Royal LePage Niagara. This is the second time I have asked Tim to guide me on the sale of my home, and once again I chose the right agent. 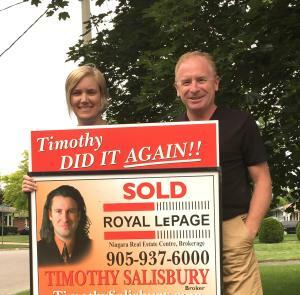 Tim’s preparation and pre-listing diligence gave us the confidence that his strategies regarding listing price, time lines and expectations were sound and supported by local industry knowledge and proven best practices. 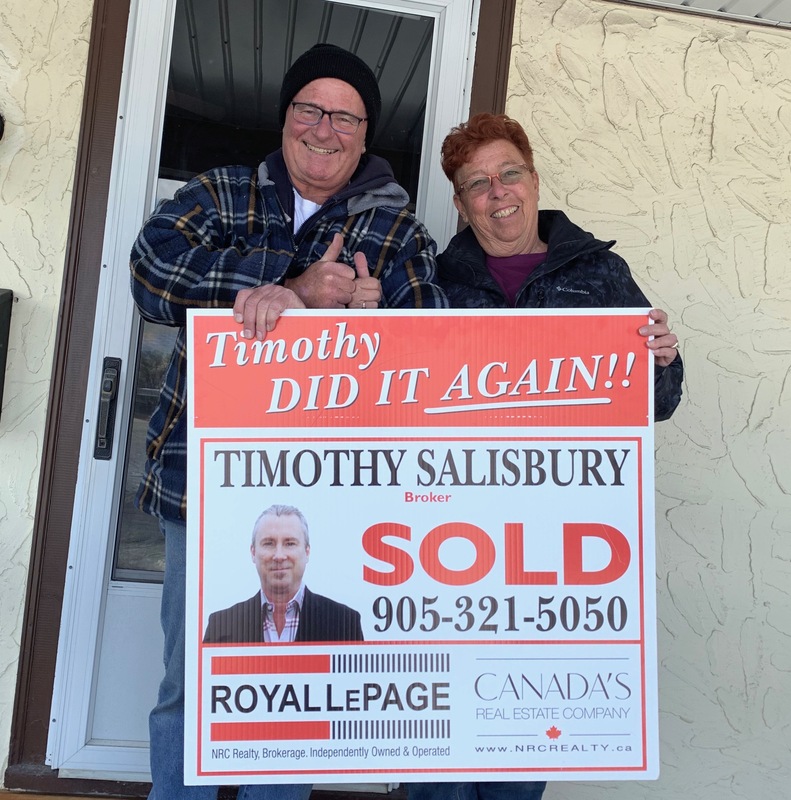 This hard work and preparation were very important to us as we had already purchased a home out of town with a firm closing date and no conditions on the sale of our current home; a nervous time for us indeed. Tim helped us through a stressful time when after only 2 days we had 3 offers but they were somewhat disappointing. He convinced us his plan was sound and that we stay patient for just a few more days.